There’s no doubt that you can find Texas history just about anywhere in the Lone Star State, but few places are as steeped in the past as the town of Gonzales. One of the oldest communities in Texas, some of the pivotal moments of the struggle for independence—from the first shot of the war for Texas Independence to the beginning of the Runaway Scrape leading to the defeat of Santa Ana’s army at San Jacinto—took place here. Gonzales is also home to the Immortal 32 who were the only men to answer the call for aide from the Alamo. This history is still alive in Gonzales today thanks to the abundance of homes, monuments, and museums that make up the first state-designated Texas History Museum District. If you’re a history enthusiast or you want to discover a side of Texas you haven’t experienced before, find your way to Gonzales. Located within an hour of Austin and San Antonio and two hours from Houston, it’s easy to plan a road trip here. See how you can immerse yourself in the Lone Star State’s past below. 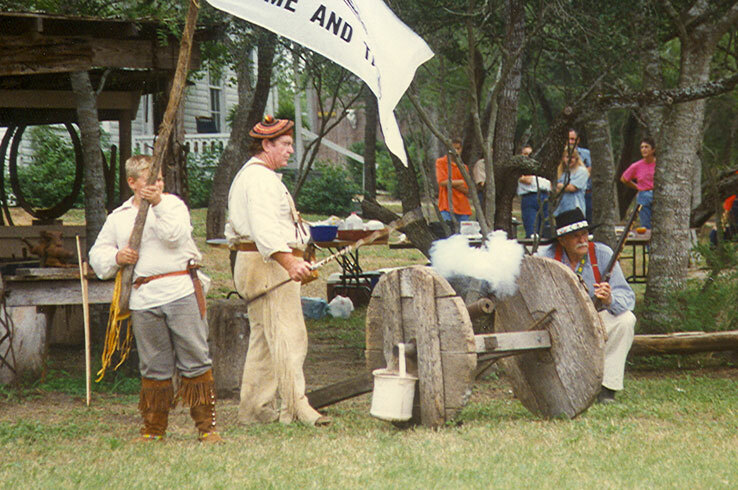 Even if you’re not a native Texan, you’re probably familiar with the “Come and Take It” cannon. 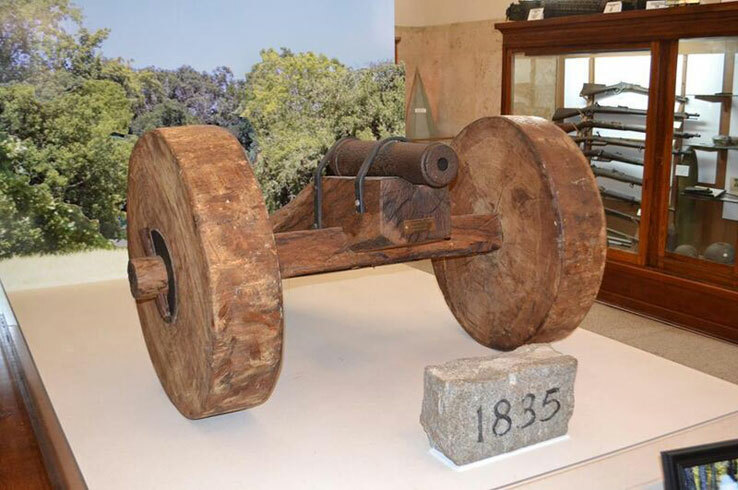 On October 2, 1835, this cannon fired the first shot of the Texas Revolution, starting a conflict that reshaped borders and changed the course of history. Although it’s rare to see pieces of the past like this in person, that’s exactly what you can do at the Gonzales Memorial Museum. Built to commemorate the Immortal 32, the museum offers an in-depth look at Texas’ struggle for independence. Walk through the museum and you’ll see rifles, munitions, and uniforms from the era, as well as photographs that brings the town’s history to life. Don’t miss the two massive indoor murals painted in 1938 that portray the culture and history of the Lone Star State. Stroll through a village of historic 19th- and early 20th-century structures, admire the largest gun collection in the country, and visit a jail that once housed Texas’ most notorious outlaws. 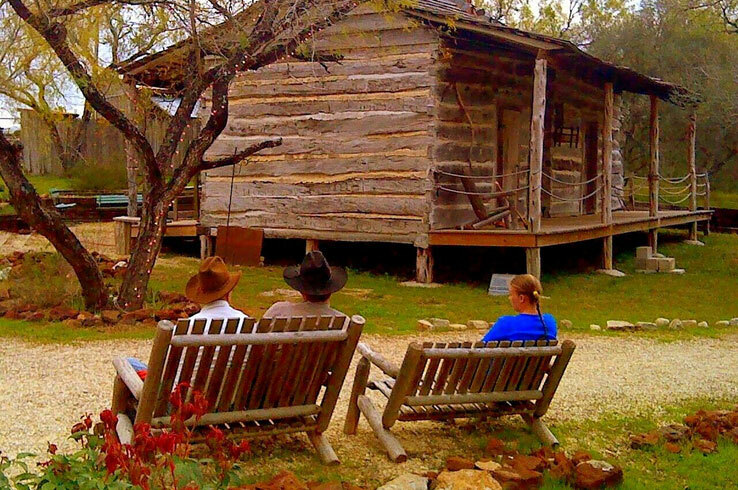 There are many ways to immerse yourself in the lore of the Lone Star State when you’re in Gonzales, starting at the Gonzales Pioneer Village Living History Center. Venture into homes, churches, schools, and other buildings dating as far back as the 1840’s to get a glimpse of what life looked like in the early days of Texas. Stop by in early October to see a reenactment of the Battle of Gonzales, which is part of the annual Come & Take It Celebration (more on this later). While there is plenty to see in the Pioneer Village, you’re just getting started. Browse the aforementioned gun collection, including rare and one-of-a-kind handguns, and the largest private collection of original documents from the Texas Revolution era at the Robert Lee Brothers Jr., Memorial Library. This collection includes more than 60 documents including signatures by Texas forefathers such as Green DeWitt and Sam Houston. Then stop by the JB Wells House Museum, a 15-room mansion built in 1885, and the Eggleston House, a two room dogtrot style home which is Gonzales’ oldest structure. For a birds-eye look at a typical early Texas community, check out the hand-crafted miniature town at the State Association of Texas Pioneers Museum. 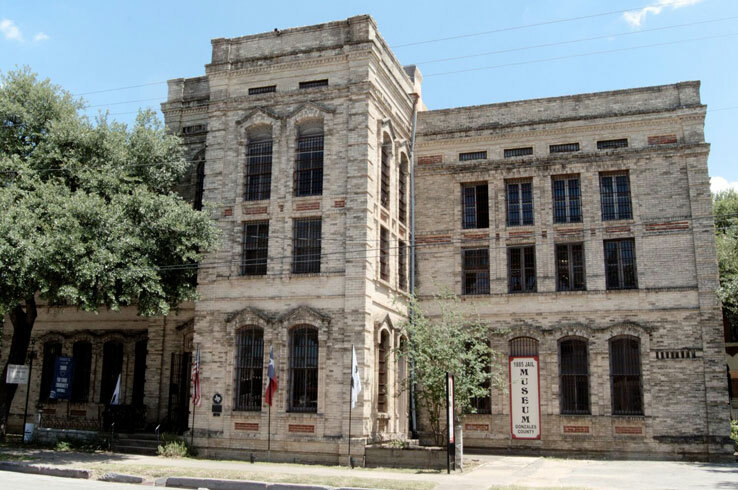 Finally, wrap up your journey through Gonzales’ past at the Gonzales County Jail Museum. Tour the cell block and you’ll see the original cells, sheriff’s quarters, and rebuilt gallows. Artifacts from inmates and deputies are on display as well, combining to tell the story of all the people who passed through the old jail. As T.E. Lawrence wrote in Lawrence of Arabia: “Big things often have small beginnings.” This is especially true for the Texas Revolution and the Battle of Gonzales. Watch the battle unfold for yourself during Gonzales’ annual Come & Take It Celebration held on the first full weekend in October. Listen to the musket fire during the reenactment at the Pioneer Village on Saturday afternoon. Then take in the parade, golf tournament at Independence Park, Go Texan Quilt Show, live music, and all the other festivities throughout town. As one of the most historic places in Texas, it’s perhaps no surprise that Gonzales has one of the highest concentrations of beautifully preserved 19th- and 20th-century structures in the Lone Star State. Given that these buildings are astounding examples of the Queen Anne, Greek Revival, and Italianate schools of architecture, Gonzales is something of a living and breathing showcase of another period in time. To see all of this for yourself, follow the Historic Driving and Walking Tour. Marvel at the abundant arches and imposing clock tower of the 1894 Gonzales County Courthouse and cruise the neighborhoods to see such impressive homes as the Houston House and the T.H. Spooner House, two of nearly 40 historic homes in town. Each locale tells a story of its own, all coming together to tell the tale of one of the oldest towns in Texas. What’s better than seeing a spectacular Victorian-era mansion? Making one your home away from home, of course. Fortunately, you can do just that at one of Gonzales’ bed and breakfasts. 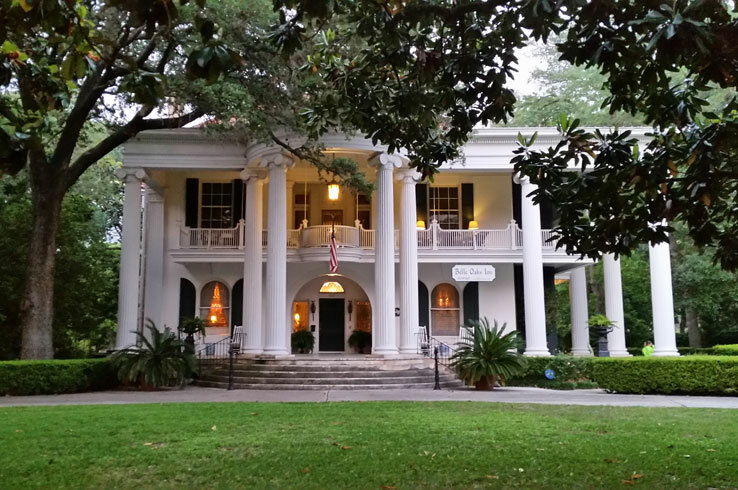 Relax on the porch as you watch 100-year-old pecan trees sway in a gentle breeze at the St. James Inn, a stately home built in 1914 for the son of General Sam Houston confidant David Levi Kokernot. Enjoy the vintage furnishings and cozy rooms at the Belle Oaks Inn, which offers a variety of accommodations ideal for romantic getaways and groups of up to 16. More one-of-a-kind stays are on tap at the Boothe House Bed & Breakfast, where you can book the separate Emily’s Cottage if you’re looking for some privacy. Want to stay within walking distance of just about everything in town? Gonzales boasts two recently renovated boutique style hotels on and near the downtown square and a wide variety of nationally recognized hotels in the area. No matter where you hang your hat, you’ll have a stay like no other. Gonzales’ historic sites and attractions provide more than enough to keep you busy, but that doesn’t mean it’s the only thing happening in town. Nestled on the bank of the Guadalupe River and surrounded by rolling hills, Gonzales has plenty of natural beauty best appreciated by getting outdoors. Climb into a kayak or a canoe and paddle along the two paddling trails, the 11-mile Come and Take It Paddling Trail or the 2.6-mile Independence Paddling Trail. Don’t have your own kayak? Rent one from Lou’s Canoes. Yet there are more ways than paddling to enjoy the outdoors in Gonzales. Hike the trails on Santa Ana Mound in JB Wells Park, where Mexican soldiers camped the night before the Battle of Gonzales. 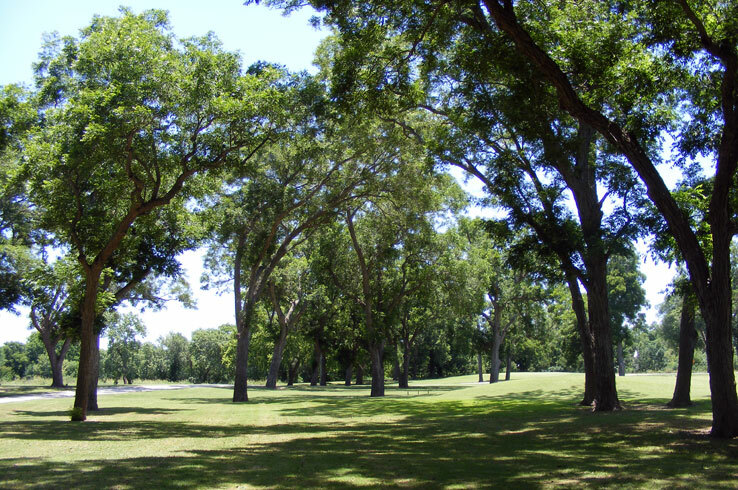 Then play your way through the Independence Golf Course, a nine-hole beauty with lush fairways flanked by native pecan trees, or the gorgeous Gonzales Disc Golf Course. If you have kids in tow, take them to the Lions Club Splash Pad to cool off in the summer before exploring the scenic trails at Palmetto State Park. Yet there’s much more to Gonzales beyond its outdoor appeal. Sink your teeth into a hearty serving of post oak-smoked pepper-crusted turkey breast or homemade sausage at Baker Boys BBQ, one of the top 50 barbecue joints in Texas according to Texas Monthly. Baker Boys is just one of many restaurants in Gonzales that range from casual burger spots to an upscale steakhouse. Get your fill however you please and uncover new treasures to take home with you as you browse the more than 30 antique and specialty shops in the downtown area. As one of Texas’ most historic places, Gonzales is a must-visit for anyone interested in experiencing the lore of the Lone Star State. Discover everything else Gonzales has to offer and start planning your trip here.